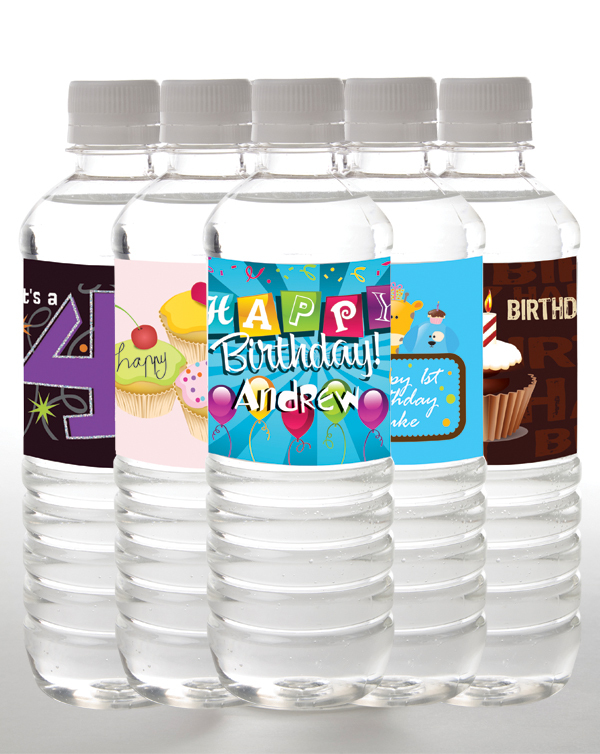 Personalize your birthday with custom-labeled water bottles as party favors from Tailor Made Water. Our professional staff will work directly with you to create the perfect custom label design for your birthday celebration. Don’t worry about printing and attaching labels or carrying heavy cases of water. Tailor Made Water does it all from design to delivery, right on time for your birthday celebration. Learn how Tailor Made Water can help make your birthday a memorable celebration.